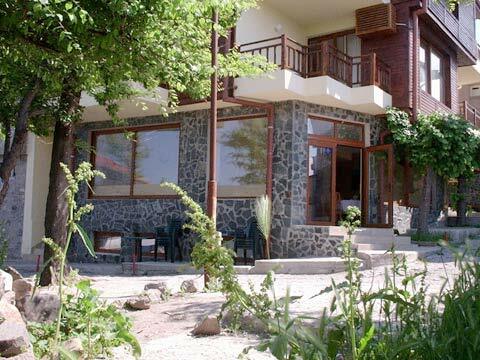 Hotel "Diamanti" is located in the old part of Sozopol, at the Black Sea coast. It offers you quietness, stillness, comfort and unique view toward the only Black sea islands - "St. Ivan" and "St. Petar". 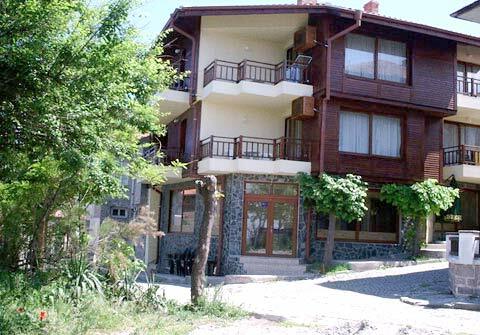 Sozopol is the best place of rest for you and your family. The hotel has stylish rooms and apartments with TV set, fridge, air conditioner and a balcony with splendid view of the sea. 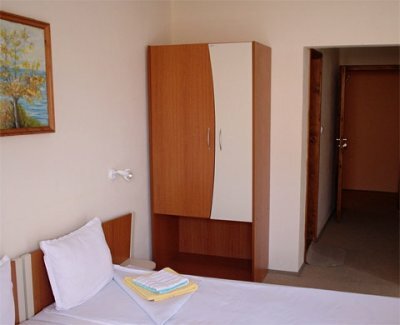 The apartments consist of two separate rooms - living room and bedroom. They are suitable for family with children. 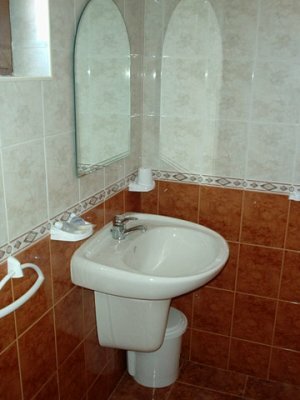 All the rooms are furnished with comfortable extensible lounge which could be used as additional third bed. The restaurant works every day and proposes room service, refrigerator, ironing, restaurant with scenery view. Best hotel in old Sozopol, Good quiet location, friendly staff and modern layout. Remember the Old Town has to keep to a preserved historical style because of laws in place but this hotel is done in a very nice style which combines the best of old and new. We very much enjoyed our stay there and would go back. Good for couples. Unordentlicher Service, kein professioneller Umgang mit den Gästen, die Rezeptionistin schreit die Gäste an, wenn sie nicht zufrieden sind. Man kann sich gar nicht darauf verlassen, dass wenn man Zimmer gebucht hat, man das gleiche Zimmer in dem gleichen Hotel auch bekommnt. Die buchen deine Reservation zum anderen Hotel um, wenn das Hotel momentan voll ist, sagen dir aber nicht im Voraus, dass es keine freie Zimmer gibt. Wenn das andere Hotel mehr kostet, musst du dann selber bezahlen.